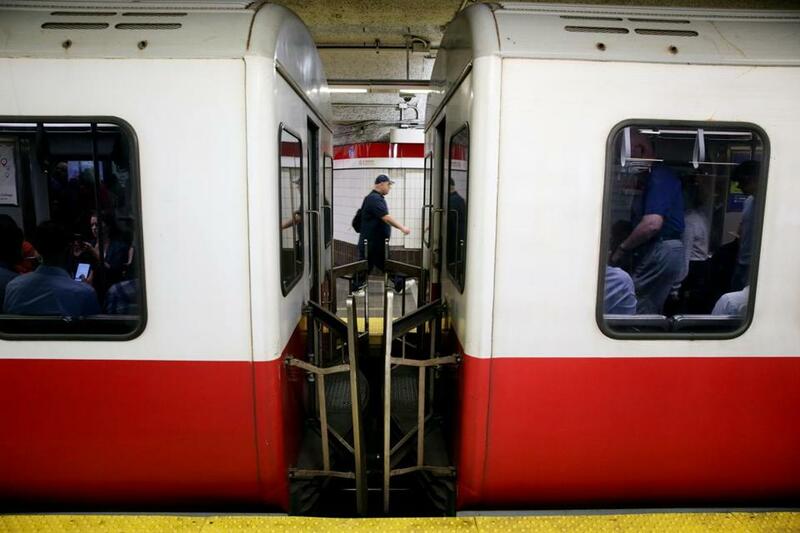 Commuters boarded a Red Line train at Park Street Station. The Globe editorial board’s call for a “transportation revolution” in its Jan. 7 prospective (“We RESOLVE: What readers can expect from the Globe’s editorial pages this year”) is exactly the type of thinking that Massachusetts needs. U.S. News & World Report ranks Massachusetts the number one state overall in the country, but ranks us 45th in the category of transportation. While forward-looking innovation is a hallmark of the Massachusetts economy, in transportation we are limited too often by past practice. Particularly compelling is the Globe’s call for smarter tolling policies that will help reduce traffic congestion, a practice used around the country. Better management of highway capacity through smarter tolling fits perfectly with Governor Baker’s focus on improving the delivery of government services. The state should begin testing this concept in 2018 as a first step to relief for Massachusetts drivers who are suffering from ever-worsening road congestion. And, of course, we must accelerate our statewide investment in better infrastructure for public transit, walking, and biking to give drivers better options. These investments would improve public health, create jobs, and strengthen our communities. The writer is the director of the advocacy coalition Transportation for Massachusetts. In “We resolve” (Editorial, Jan. 7), the Globe should have resolved to be smarter in 2018 in its coverage of President Trump. Though not as bad as many media outlets, the Globe focuses too much on Trump himself. Luigi Zingales, a University of Chicago professor, has pointed out that getting the press and the populace to focus on personality rather than issues helped Silvio Berlusconi stay in power in Zingales’s native Italy. Andrés Miguel Rondón, an economist from Venezuela, made the same observation regarding Hugo Chávez. Similarly, cognitive linguist George Lakoff criticizes the media for creating a “focusing illusion,” magnifying Trump’s importance by the way they cover him and his tweets. Lakoff details Trump’s tactical use of tweets to preemptively frame issues, to divert attention away from issues, to deflect attention by attacking the messenger, and to float trial balloons. He argues that the media must learn to first state the facts about an issue before reporting the tweet, then briefly comment on the deceptive tactic used in the tweet, and quickly return to the real issue. If your paper and other media outlets keep falling for Trump’s ploys, they will continue to enable our dangerous president. I like your editorial priorities for the upcoming year, and especially appreciate your commitment to call for action on climate change, both mitigation and adaptation. But this commitment requires aggressive reporting as well. Last year, as an experiment, I put out a daily tweet with the hashtag #TalkToYourNeighborAboutTheWeather. All I did was look through global news about catastrophic weather events — droughts, floods, mudslides, and so on —that had a connection to increased atmospheric carbon. Alarmingly, I never had a day where I failed to find a story. If you set an example by reminding readers of what climate devastation is doing to us right now, it would set a model for news media everywhere. It was heartening to see that the Globe’s editorial board is determined to “strengthen our blue bulwark” as a counterweight to the insanity of the Trump administration. Under criteria, you list climate change as number one, and promise to push for the transition away from natural gas toward renewables, which is commendable. Unfortunately you fail to include goals for the built environment. We are well launched into a building boom that aims to add 53,000 new units of residential housing by 2030, per the city’s Imagine Boston 2030 plans. But there is a big disconnect: Virtually all of this development is slated to be powered by natural gas. The Walsh administration recently approved a new 1.1-mile gas pipeline to feed luxury high-rises in the Back Bay. Why isn’t the Boston Planning & Development Agency requiring these structures to be net zero carbon? How can we become carbon neutral by 2050 if we keep expanding our carbon footprint? We have the knowledge and innovative techniques within the architectural, engineering, development, and construction industries to create truly green buildings, and no, the LEED rating system, or Leadership in Energy and Environmental Design, does not do enough in terms of curbing energy consumption. We need the Walsh administration to do its part, and the Globe has an opportunity to elevate the issue of the built environment as well. The writer is a cofounder of the Boston Clean Energy Coalition.